Now I hadn’t been to Boise in 10 years, and even then I was traveling with three kids under 5 years old it was a bit of a blur. Kylie didn’t even remember anything from the trip. When the opportunity presented itself for her and me to go with my parents for Thanksgiving we jumped at the chance to go. Now Kylie has pretty much mainly known the Seattle area for her whole life, so when we go to Boise she was shocked it wasn’t the size of a city she is used to, however, I think she is now sold on the Boise charm. 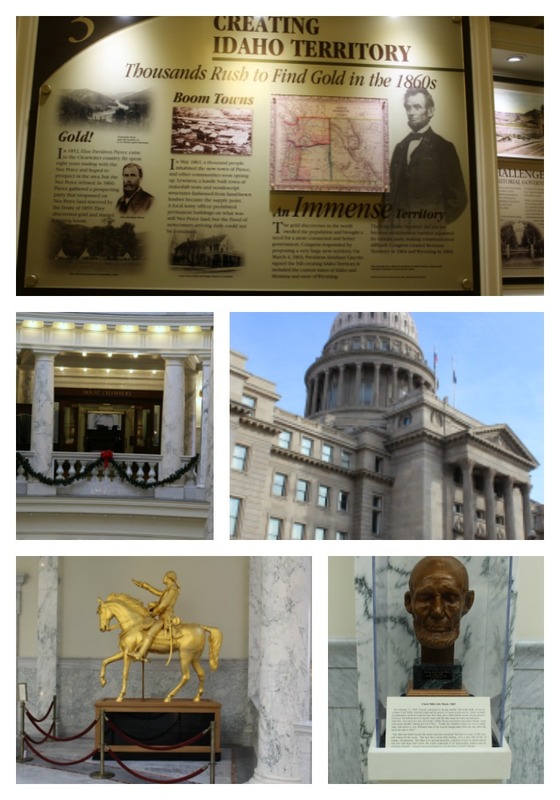 Our first stop was to the Boise Capital building. We were able to do a self-guided tour around the whole capital and she loved hearing from my dad how government works and what everything was for. We started at the West wing on the garden level near the gift shop. My dad pointed out the Teton Damn Failure of 1976 and how he remembered the events of the day! At the end of the hall was masks of Abraham Lincon. Now I didn’t realize until we got that that none of my kids had been a state Capital building even though we live 40 minutes from Olympia!! 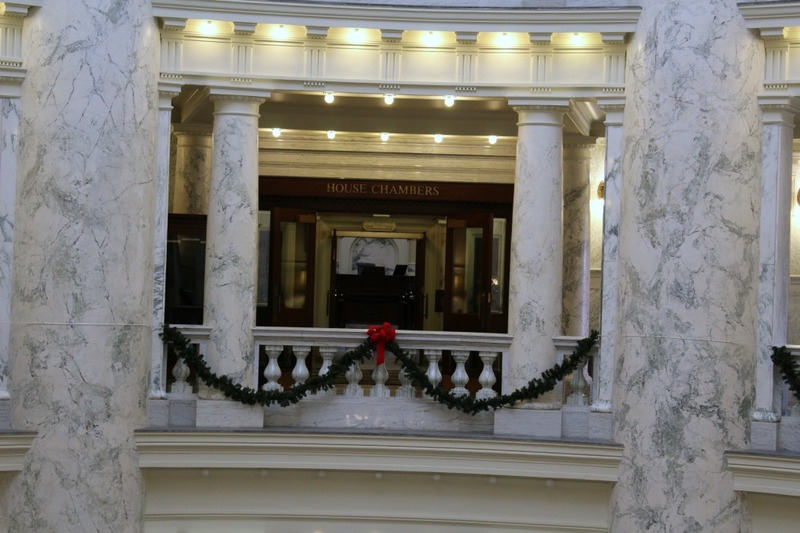 I loved we were able to take our time and see all the intricate parts and details of the building and all the history to Idaho! I think this had a big impact on Kylie vs just learning in school! 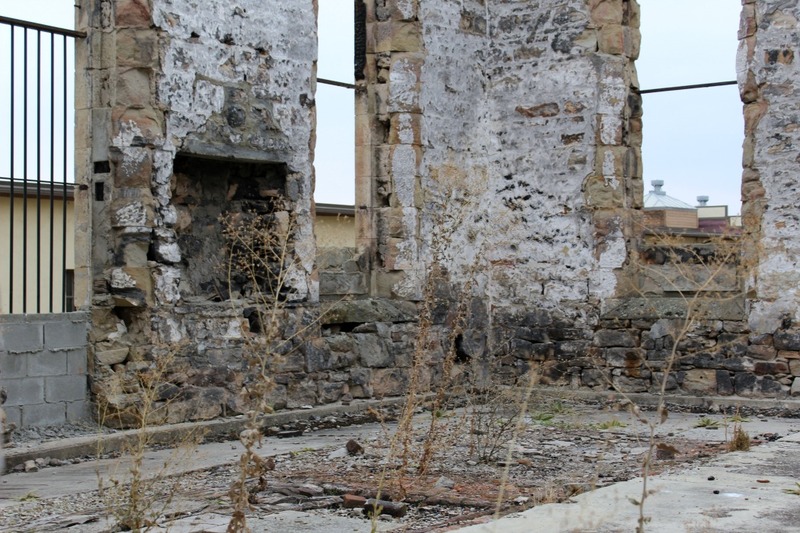 We hit up the Old Idaho State Pentiary as well. When we pulled up I realized it looked familiar only to realize we had been there for a wedding at the Botanical Gardens next door in 2005 if you go in the summer that’s a must stop see learn more -> here. 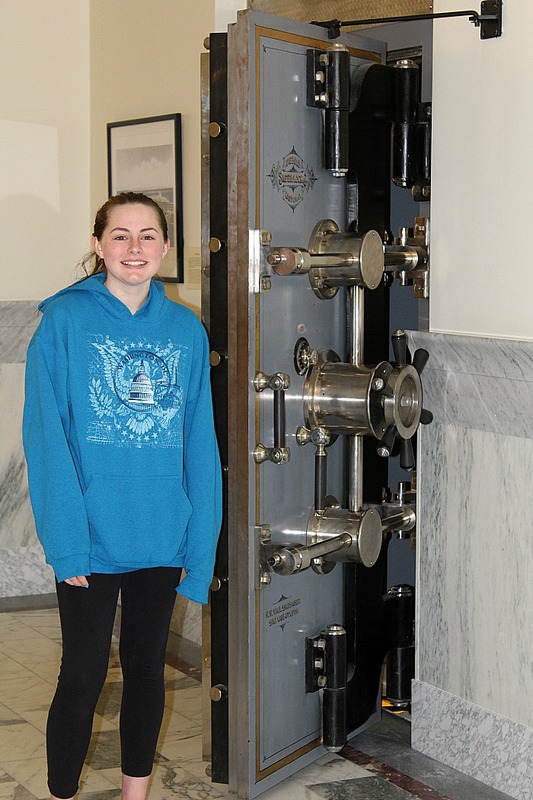 Kylie loved that her grandpa was able to share so much about this on our self-guided tour, I had no idea that my parents as kids had been there on field trips in grade school! My dad said when they came the burned down dinner hall still smelled burnt, thankfully that smell is gone now. 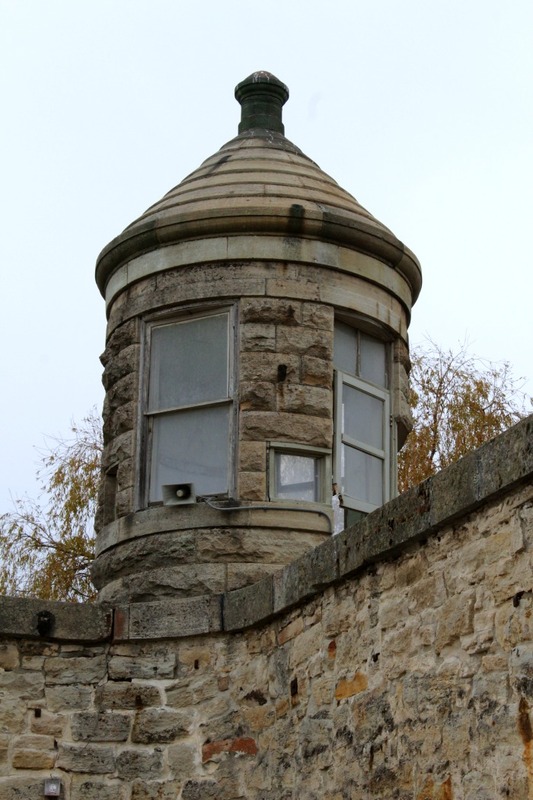 Learn more about the Old Idaho State Penitentiary -> here. While this isn’t Seatle it was fun to see how accommodating Boise is for outdoor enthuaist. There was walking paths all over downtown, lots of bike stores, ad running stores. 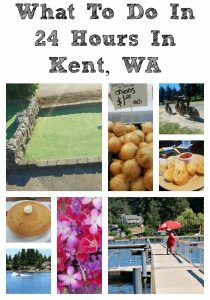 With the University Of Idaho right there its there is a lot to see and do. We were bummed it was so chilly we weren’t able to park and explore more. 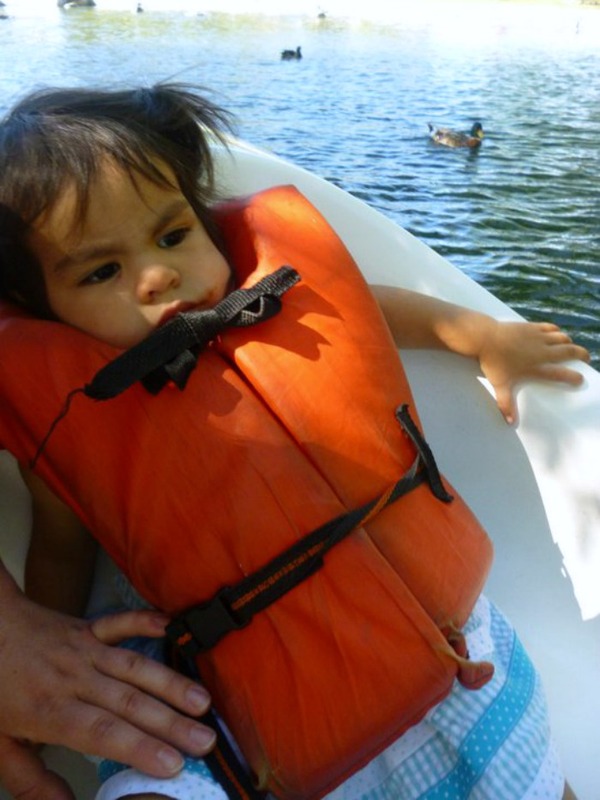 I know in the summer the Snake River is also perfect for floating. Have you been to Boise Idaho before?? 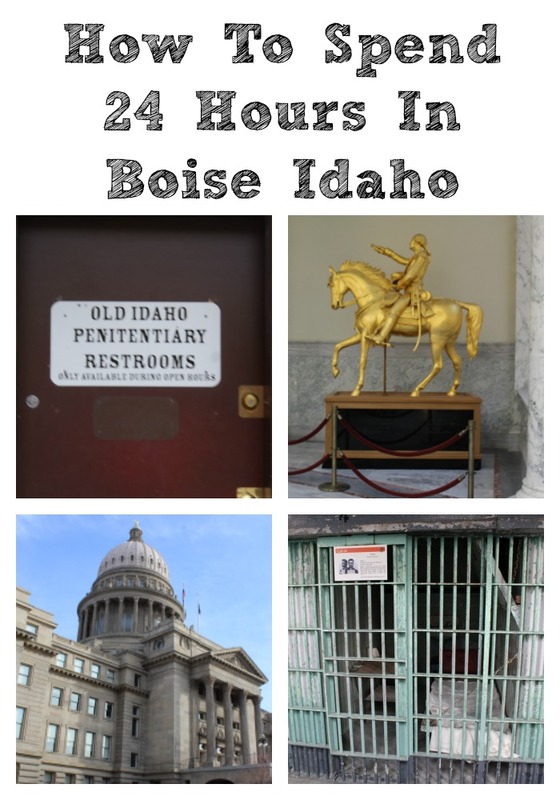 What are you must see and do activities in Boise Idaho?